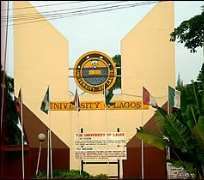 The attention of the University of Lagos Management has been drawn to the case of the alleged molestation of a four-year-old pupil of the University of Lagos Women Society (ULWS) Nursery and Primary School, Akoka, Lagos by a driver. The University of Lagos has zero tolerance for child molestation,child abuse and sexual abuse. We wish to reassure all our stakeholders, parents, members of staff and the general public that theManagement of ULWS Nursery and Primary School and the University will not treat this matter with levity as it iscurrently tackling the case with every sense of responsibility, seriousness and transparent pursuance of justice.